Vanderbilt At Providence - A well maintained one owner luxury home priced at a bargain to make your dream come true! MLS#3497667. Kronen Realty Inc.
Providence Springs - Close to the Arboretum, shopping & dining. MLS#3497898. Keller Williams Ballantyne Area. $2500 Lender Credit available - just ask! Buyer to verify schools. MLS#3488439. Savvy + Co Real Estate. Orchid Hill - Don't miss out on this meticulous well maintained home in the heart of Ballantyne! MLS#3495292. Skyecroft Realty Group LLC. Way too much to list.. this home is an absolute MUST SEE and won’t disappoint. MLS#3490189. Don Anthony Realty, LLC. this area is HOT HOT HOT and is surrounded by high dollar homes . MLS#3498266. Modern Charlotte Realty. ft) HOME ON over a 1/2 ACRE LOT in the prestigious Radbourne Neighborhood. MLS#3498310. Allen Tate Providence @485. Providence Plantation - This home has been meticulously maintained & the yard perfectly manicured. MLS#3496555. Keller Williams South Park. See this home today. You won't be disappointed! MLS#3498445. RE/MAX Executive. The Arts District - Come see why locals call Noda the soul of Charlotte! MLS#3498174. RE/MAX Executive. Tax Value reflects newly assessed value pending any appeals. MLS#3497981. Allen Tate Ballantyne. Newly remodeled home in an up and coming area. The home is under construction. MLS#3498431. RE/MAX Executive. This house is a must see. MLS#3497973. EXP REALTY LLC. This home sits on a beautiful flat cul de sac lot in a quiet community with award winning schools. MLS#3496833. Wilkinson ERA Real Estate. 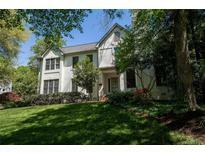 Huntington Forest - This home is a must see! MLS#3498146. EXP REALTY LLC. MLS#3493391. Wilkinson ERA Real Estate. Prosperity Ridge - You will be glad you did! MLS#3497749. Coldwell Banker Residential Brokerage.